The Seasons, Op. 37a (also seen as Op. 37b; Russian: Времена года; published with the French title Les Saisons), is a set of twelve short character pieces for solo piano. Each piece is the characteristic of a different month of the year in the northern hemisphere. The work is also sometimes heard in orchestral and other arrangements by other hands. 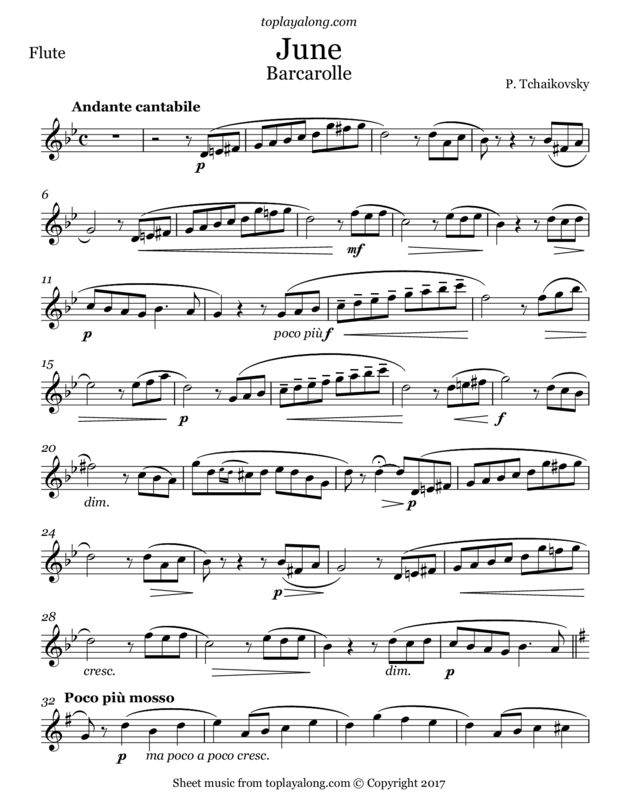 Barcarolle (June) was enormously popular and appeared in numerous arrangements (for orchestra, violin, cello, clarinet, harmonium, guitar and even mandolin).